I attended the Activation/Digger press conference and to celebrate their partner ship I was invited to stay the day at no charge. All opinions are my own. This past weekend a special group of ladies and I, along with our families, were lucky enough to be a part of two amazing organizations coming together for the greater good of their communities. DiggerlandUSA and ActivationReact have officially partnered with one another to help those in their communities, in need, when disaster happens. 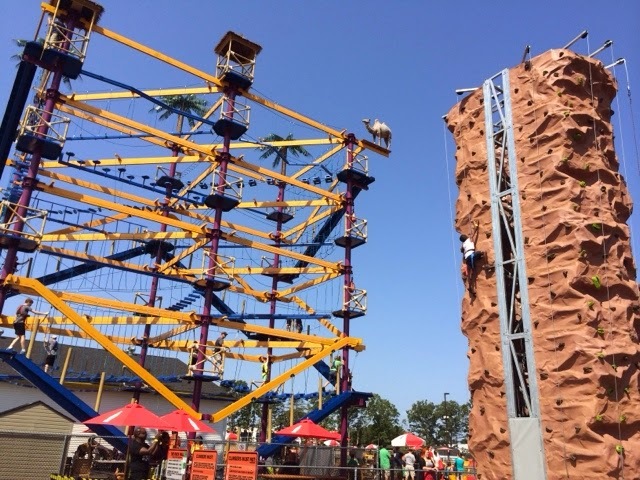 Yesterday my family spent the day at DiggerlandUSA and I have to say it certainly was a highlight of the summer for not just my boys, but me too! As a mom of little boys my life for the past 8 years has revolved all things boy-including tucks, machinery, etc. Dump trucks, diggers, backhoes, you name it my kids knew the name of the vehicle and what it was used for. Well at DiggerlandUSA my boys got to live out their childhood dreams by actually driving-yes driving! a few of these amazing construction vehicles, and ride on the others. The way their eye’s lit up, I know this is a memory they will hold onto for the rest of their lives. I even saw some of the dad’s who were with their sons having the time of their lives as well! 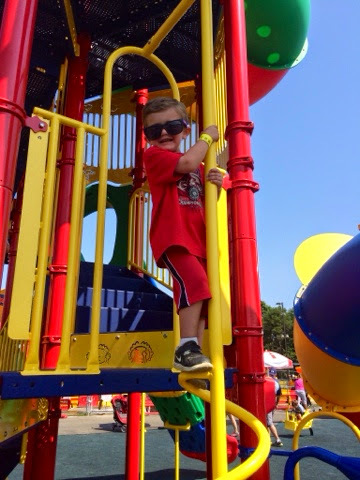 Construction trucks and dirt….what little boy doesn’t love that?! I was also impressed with the cleanliness of the park, the attentiveness and up beat personalities of the park employees (who all dress like construction workers-its so cute! ), and the short lines! DiggerlandUSA isn’t like every other amusement park that lets a crazy number of people in, to the point where the park literally is bursting at the seams and you are waiting 2 hours to get on a ride. Rather, they only let a certain number of people into the park, which is great because their is virtually no wait for any of the rides! This is a HUGE plus in my book! The day we went was 85 degrees and sunny….I’m talking so sunny there wasn’t a cloud in the sky. But not to worry-DiggerlandUSA has you covered-literally! At almost every attraction their is a huge beach umbrella by the line, and there are many, many picnic tables spread all throughout the park that also have umbrellas. So while it was really, really hot they make sure to provide as many places for shade as possible-which was key for my family! The one and only thing I think DiggerlandUSA could improve upon is their snack stand. The park opens at 10, but the snack stand doesn’t open until 11. Luckily one of the attentive workers called over a manager who could tell we were desperately in need of some hydration and he was kind enough to pop open the machine and hand us two bottles of water to hold us over until we hit the concession stand! Honestly, I was really impressed with the way they handled this situation. 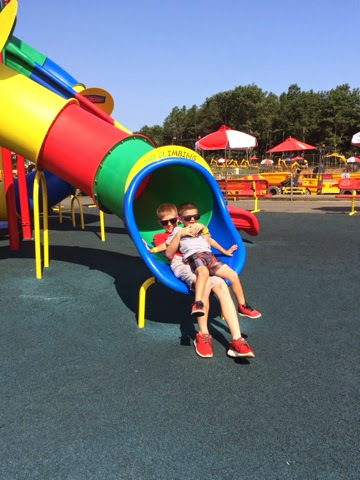 My middle son (5) enjoyed their craziest ride called the spin dizzy, and my youngest guy (3) loved the toddler play park with all of the crazy slides! 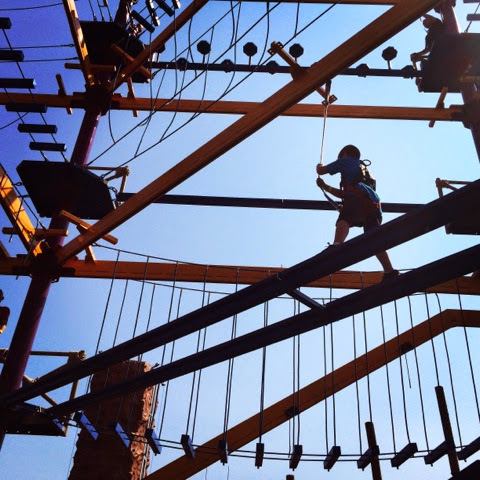 I left DiggerlandUSA this past weekend with my heart just about exploding! My kids genuinely enoyed themselves and every attraction at DiggerlandUSA. 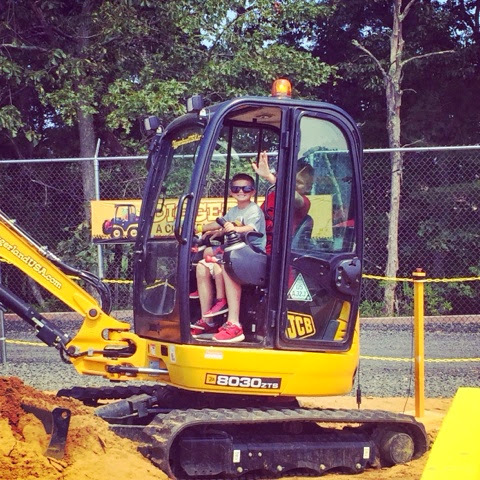 DiggerlandUSA allowed my boys to live out their childhood dreams, and in my book that is Priceless! 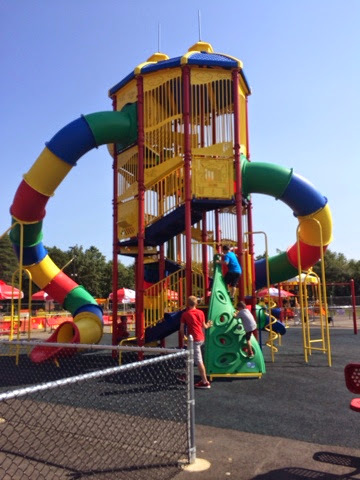 Regular admission to the park is $34.95 (walk up) and $29.95 (online). 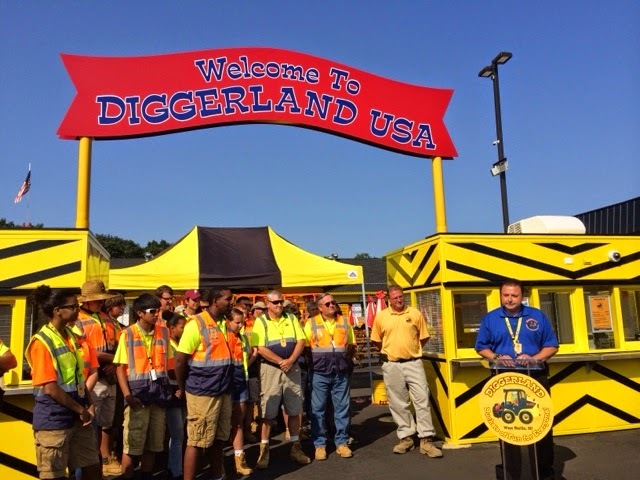 Both DiggerlandUSA and ActivationReact are both very active on social media and can be found on Instagram, Twitter, and Facebook. Disclaimer: this is a sponsored post but as always, all opinions are my own.